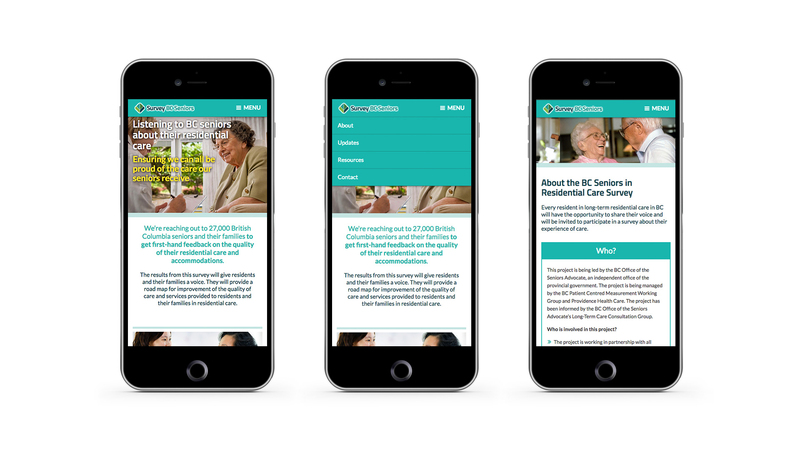 The Survey BC Seniors website design project was completed for the British Columbia Office of the Seniors Advocate. This office was established in 2014, to monitor and analyze seniors’ services and care in the province. They also recommend improvements to government and service providers, to make seniors living in B.C. comfortable and fulfilling. The Survey BC Seniors project was intended to collect survey data from BC’s 27,000+ seniors, to establish key areas of concern for the government and seniors service providers to focus on. The Office of the Seniors Advocate came to us to design a website for the recruitment of volunteers to help conduct the province-wide survey. 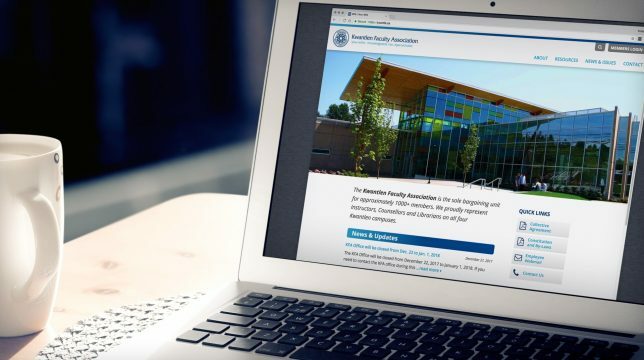 The Office of the Seniors Advocate wanted a super simple and accessible website for the Survey BC Seniors project, so that volunteer registration would be intuitive and seamless. Such a comprehensive survey required a lot of people power, so the volunteer signup had to make it easy for people to get involved. As the volunteer base was most likely to be primarily composed of older demographics, website accessibility was imperative. 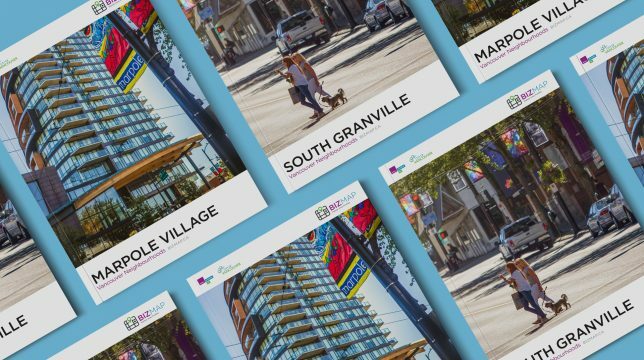 With this is mind, we planned to use a minimal design, with highly prominent “Volunteer Now” call-to-action buttons, as well as customized accessibility tools, designed specifically for this project. It really is incredible to see the kinds of individuals that are coming forward to spend the time to listen to the experiences of the residents. It sounds cheesy, but we certainly couldn't have done this without the support of your team. Our Survey BC Seniors website design had to be consistent with Office of the Seniors Advocate branding. 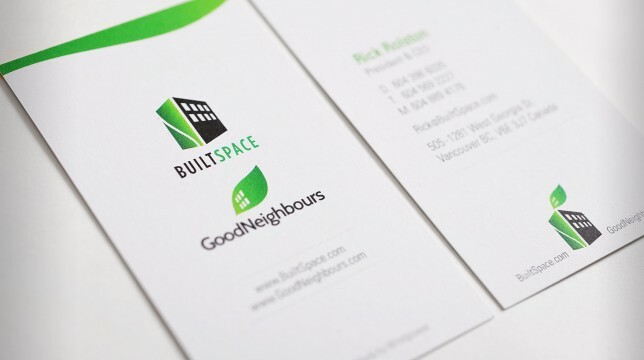 We utilized their colour theme in a clean and crisp layout. The site elements were clear and accentuated, and “Apply to Volunteer” buttons were placed in several especially visible locations. We also added social media buttons for sharing the site with interested friends and family. The site only had five pages, and page links had simple titles, so navigating the website would be possible for any site user. The primary accessibility tool of the website was a customized tool that allowed users to increase font size in order to make text more legible for those with vision difficulties. We custom-programmed this tool, in an effort to maximize the range of volunteers available for this project. It was also necessary to ensure that the website was responsive, because another important client request was that people be able to access the Survey BC Seniors site on the go. 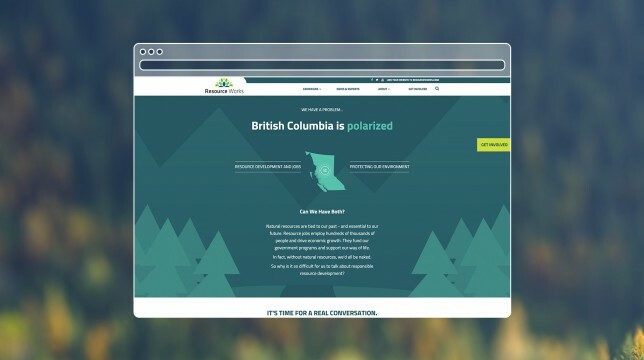 The Survey BC Seniors site project resulted in a bright, uncluttered, and simple website, with all of the necessary accessibility tools. The buttons to sign up to volunteer were placed in highly visible areas of the design, and we included a prominent contact form for anyone who had questions about becoming a volunteer, or about the project in general. Our website design made the recruitment of volunteers for this important project easy and accessible, to help the Office of the Seniors Advocate proceed as smoothly as possible. Over 900 volunteers were recruited for the campaign thanks to our website.